Since version 2008, Microsoft SQL Server added the support for spatial data types called Geography and Geometry. 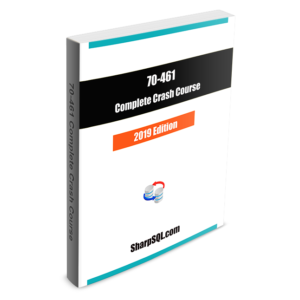 The geography type store GPS latitude and longitude coordinates in a binary format and can be used to query locations and calculate distances. We can create table columns of data type geography. SQL Server has built-in functions to compute distances. We can call these functions within a SQL SELECT statement. Geography data type can be used in persisted and non-persisted computed columns. Geography data type columns can be indexed. SQl Server Function STDistance (geography Data Type) Returns the shortest distance in meters between a point in a geography instance and a point in another geography instance. Another function ShortestLineTo returns a LineString instance with two points that represent the shortest distance between the two geography instances. We can use STLength to find the length of the LineString instance (in meters). Let’s create a table with geography data type and load some sample data into the table. I will insert some sample data into this table by grabbing some data in table [sales]. [CustomerLocation] in SQL Server sample database [AdventureWorks2017] (you can use [AdventureWorks2014] or [AdventureWorks2016] too) as [sales]. [CustomerLocation] has a column [SpatialLocation] with geography data type. As you can see, the 6 Customers ( CustomerID 1 to 6) are located in the 6 Californian cities, San Francisco, San Jose, Santa Cruz, Los Angeles, Long Beach and San Diego, from North to South, respectively. The following example uses ShortestLineTo and STLength to finds the distance between two geography instances in miles. The following code example shows the top 3 nearest customer delivery locations from Custermer1 in San Francisco. 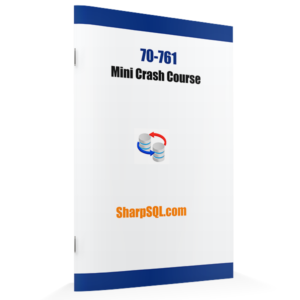 By now we have covered the basic knowledge of Geography data type and the key built-in methods, let’s try to answer a couple of SQL server 70-761 practice questions on this subject. Your company is developing a new application that connects customers to each other based on the distance between their delivery locations. You need to write a query that returns the nearest customer. The variable @custID is set to a valid customer. … ORDER BY Dist (with default ascending ASC order) will return the closed custeomer. As we see in our sample table, customer 2 (customerID =2) is in San Jose and is the closest customer to customer 1 in San Francisco. ShortestLineTo (geography Data Type) Returns a LineString instance with two points that represent the shortest distance between the two geography instances. The length of the LineString instance returned is the distance between the two geography instances. STLength (geography Data Type) returns the total length of the LineString instance (in meters). Once again as we see in our sample table, customer 2 (customerID =2) is in San Jose and is the closest customer to customer 1 in San Francisco. If you like this post, please post your comment below. 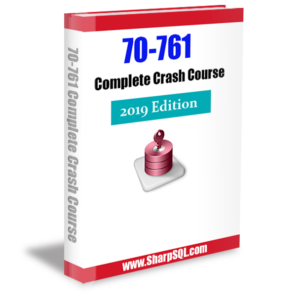 For more study guide like this, please check out our newly updated 2019 Version 70-761: The Complete Crash Course.